An Experienced Team of Attorneys For All Your Legal Needs. The attorneys at the Law Offices of John Q Vaughan, L.L.C. have been providing dependable and effective legal representation in the fields of Personal Injury and Criminal Defense for over 20 years. Since its formation, our clients have enjoyed professional, courteous, and excellent legal representation at affordable prices. 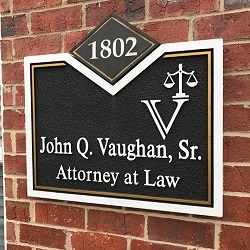 At the Law Offices of John Q Vaughan, L.L.C., we are proud of the fact that we truly care about our clients and put their interests ahead of everything else. We understand that we are here to serve the interests of our clients and to fight vigorously to protect their rights and to ensure that they are treated with the dignity and respect to which they are entitled. When you come in for your free consultation, you can be confident that we will be completely honest with you and about your case.